Hi All! Welcome back for another Stamp Highlight! 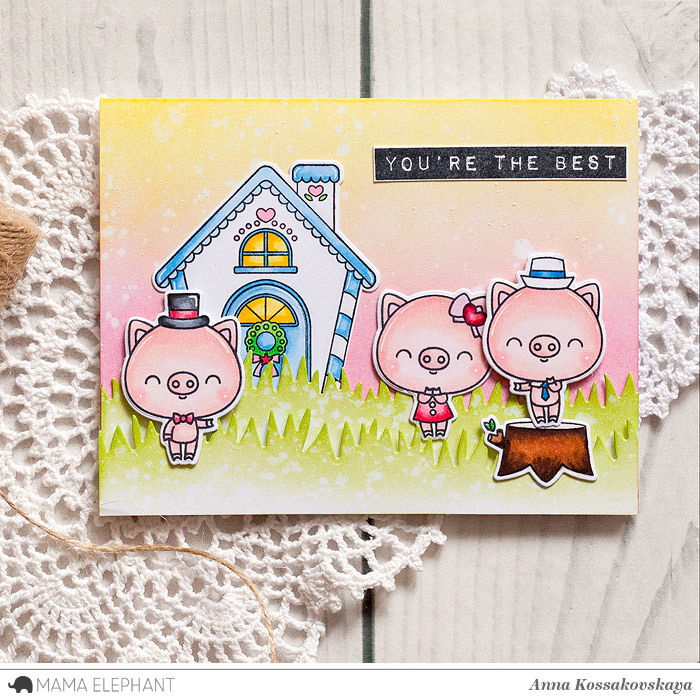 Today we are showcasing the Lovely Piggies! Aren't they super sweet?! 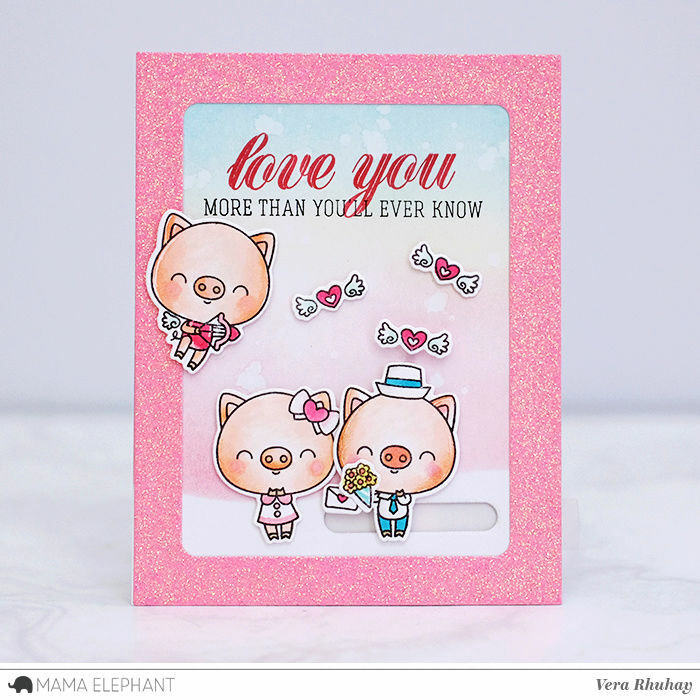 A Lovely Piggies cupid is shooting arrows in this love-themed On The Hills scene card. 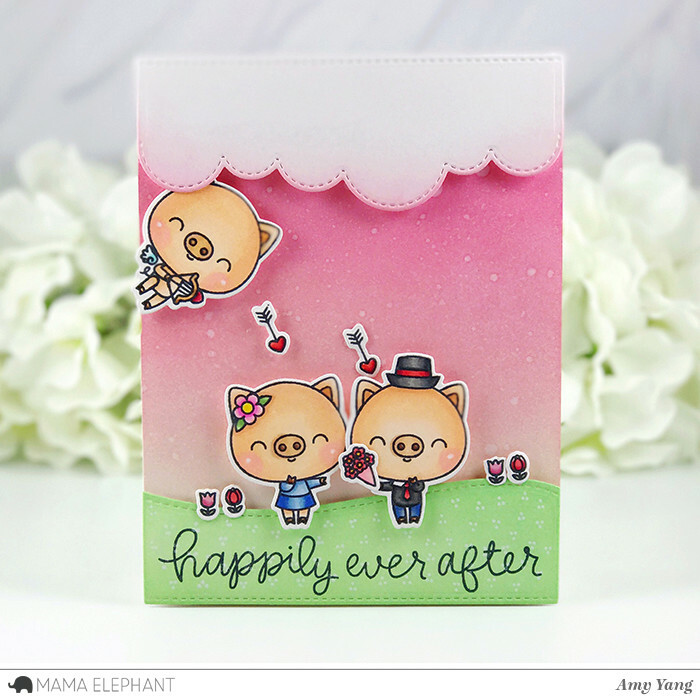 Amy made a fun hidden slider card where the cupid pig moves back and forth. Anna created the funny card that illustrates the story of three pigs. 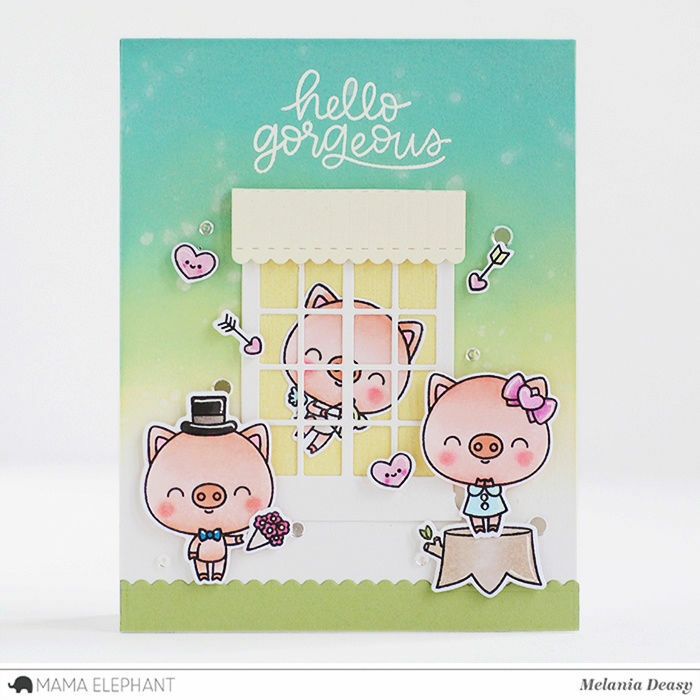 We love how Laura used the Framed Tags-Hugs It Out Creative Cuts with the Lovely Piggies. 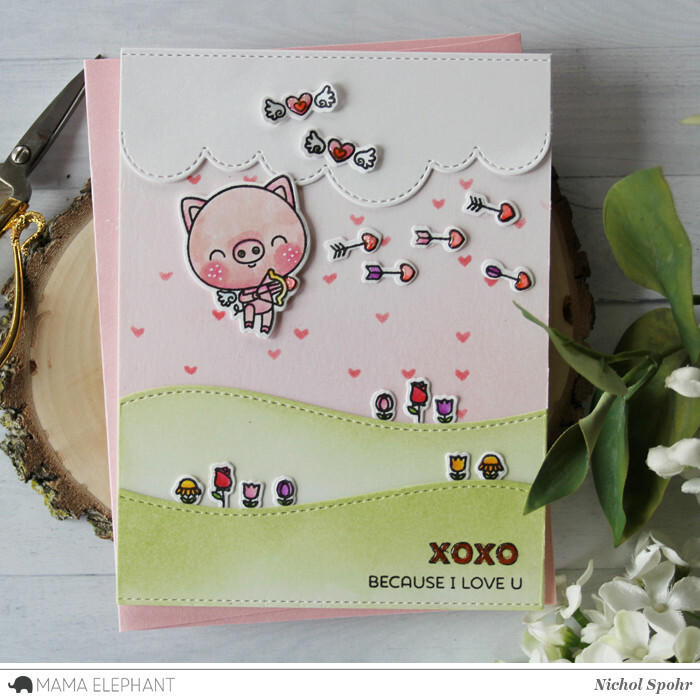 A cute slider card made by Vera. Such a perfect combination with the Cross My Heart set. Oh my, these are so sweet! What a cute post with lots of sweetness! Oh my goodness !! All these cards are so irresistibly cute ! I love Laura's custom background with the arrows and how it coordinates with the die-cut "hugs."